Our mission is: * To perform for our customers the highest level of quality construction services at fair and market competitive prices. * To ensure the longevity of our company through repeat and referral business achieved by customer satisfaction in all areas including timeliness, attention to detail and service-minded attitudes. * To maintain the highest levels of professionalism, integrity, honesty and fairness in our relationships with our suppliers, subcontractors, professional associates and customers. 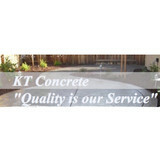 KT Concrete is a Concrete Company specializing in decorative concrete. We take pride in meeting and exceeding the needs of our clients. We work in close cooperation with our clients to ensure their wishes are taken into account. We also provide advice on alternative solutions that can save time and money without compromising quality. Christian is very knowledgeable and experienced with concrete. 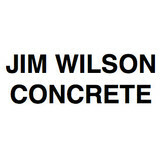 With about 16 years of experience with Concrete started out young working with his dad in the concrete business. With this and also a professional attitude we deliver quality work. With over 35 years of combined experience, Mike Wasso and his team have been providing California residents and business owners with top quality, competitively priced surfacing and asphalt services with advanced equipment. At Advance Asphalt, it is our mission to provide our customers with superior products at fair prices without sacrificing exceptional service. 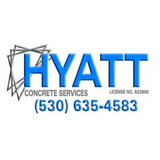 We are the best concrete professionals in Oakley, California! Since starting our business in 1984, Shaffer Paving has stood for quality. Our attention to detail and excellent customer service record says it all. We offer a large range of services for residential customers. Call us to discuss your project and we'll help ensure you get exactly what you need. From asphalt resurfacing to rock walls and repair, we guarantee your satisfaction. We stand behind our work. Here's what you can expect with every Shaffer Paving project: On-Time, On Schedule – We guarantee that our crew start your project on time. If weather or something sets us back, you'll receive a phone call at least 1 hour before our scheduled arrival time. We're Courteous – You'll always receive courteous service. Shaffer Paving makes every effort to make sure our customers are satisfied. Value Pricing – We guarantee that we will provide the best value for the price. Not everyone will give you that. Customer service is our specialty, but we've also been serving the Truckee / Tahoe area for nearly 30 years. Most of our crew has been working with our customers for over 15 years. That's a lot of seasoned staff. Choose Shaffer Paving and we're sure you'll be a very happy customer! Evans & Son Masonry provides expert masonry services for your home or residential project. Our years of experience in both commercial and residential masonry allow us to deliver high quality workmanship at reasonable rates, whether your project is indoor or outdoor, structural or decorative. From privacy walls and retaining walls to stone entryways and fireplaces, our masonry services are professional and reliable. We can work from your blueprints or help you determine a plan of action. Welcome to M D Builders, Inc. We have been providing quality construction services to our clients in the Sacramento and surrounding areas for over 10 years. Our clients value the relationship we build with them and recognize our commitment to quality, budget and schedule. Count on M D Builders, Inc. when quality really counts. Remember, exceptional service is our standard. Greg Drummond is the owner and president of MD Builders, Inc. Greg has been in the construction industry for over 20 years. During this time he has been involved in all aspects of commercial and residential construction. City Concrete And Masonry is the best Sacramento Concrete and Masonry company. 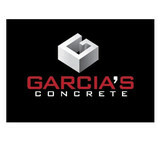 Adam Harmoning and Jean Pereira run the Sacramento region for all types of concrete work and stone and brick masonry. With decades of experience between them in residential, commercial, and government work, City Concrete And Masonry is there to provide same day quotes and work within days if need be. Check out all of our work on our website, we kill it on driveways, patios, pool decks, brick work, walls, stone work, buildings, and more. Call us at (916) 280-0814 for a free quote.